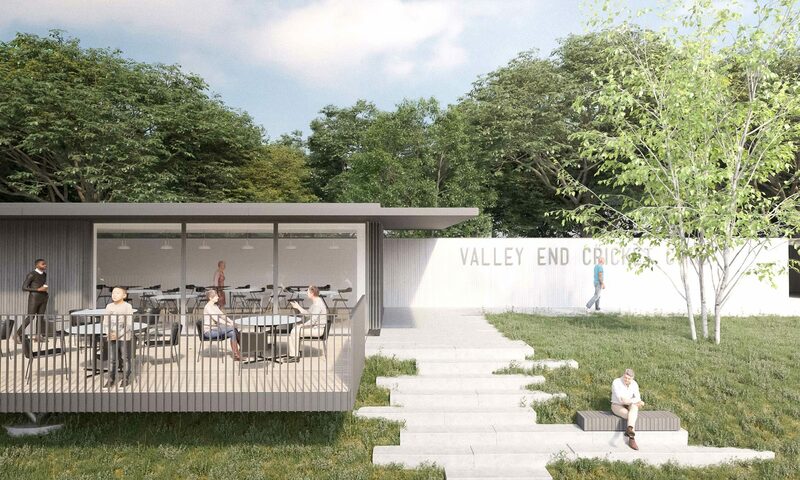 Re-Format were invited to submit proposals to the Valley End Cricket Club for the design of their new pavilion. 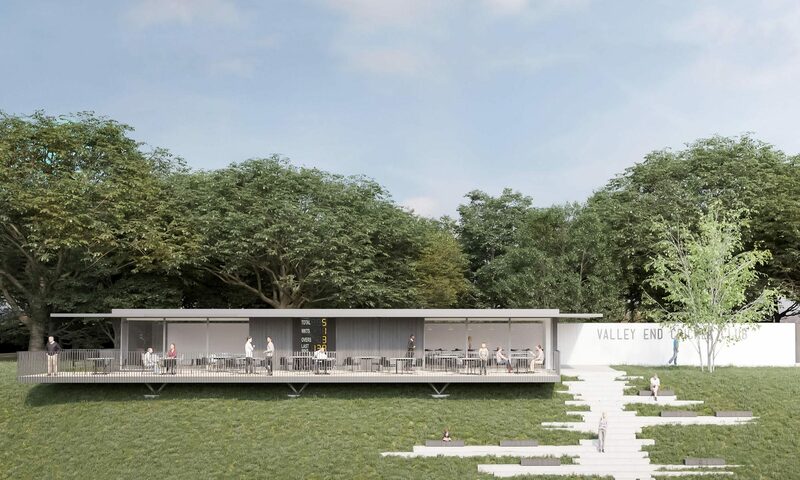 The minimal contemporary structure is carefully positioned between two existing cricket pitches. 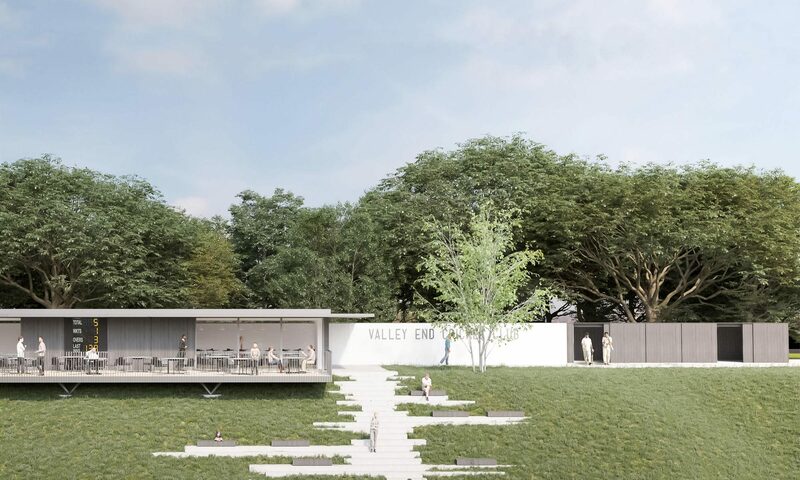 The pavilion is slightly set into the bank to minimise excavation, groundworks and retaining structures, whilst the semi-elevated position allows the building to command unobstructed views across both pitches. This design strategy delivers a Lords Press Box relationship to the playing surface and adds real character, presence and ambience to the club.